Superdry women's Layla midi skirt. 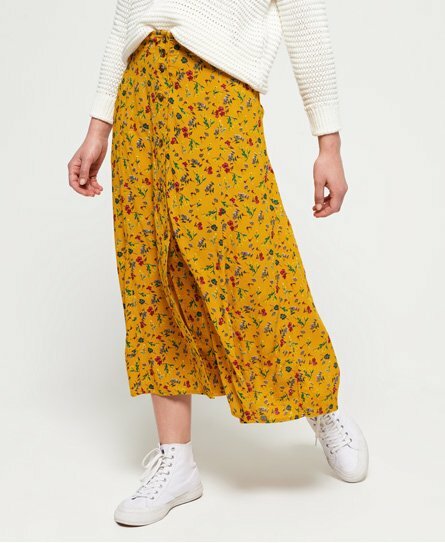 Effortlessly versatile and oh so chic, the Layla midi skirt is the update you need in your wardrobe this season. Crafted from a lightweight fabric, the skirt features a button front, pockets in the side seams and a subtle logo badge on the hem. Style with a loosely tucked in vest and a pair of wedges for a look that will work through the season.